Approximately 30 million Americans suffer from diabetes, a chronic disease in which your body cannot properly regulate your blood sugar. The disease is not curable, so proper management from experts – such as Nicole Kimzey, DO, of Girard Internal Medicine in Philadelphia – is essential to help you live a long, healthy life free of complications. Call the office or book an appointment online to be evaluated for diabetes or get proper management if you already have the condition. Diabetes describes a set of disorders in which your body has trouble producing any or enough insulin, a hormone that helps your body process glucose from the food you eat. When sugar builds up in the blood, you can experience serious health complications, including heart disease, neuropathy, kidney disease, and stroke. Type 1 diabetes is usually diagnosed in your childhood or early adulthood and occurs when your body fails to produce insulin. With Type 2 diabetes, your body still makes some insulin, but your cells have become less able to process it effectively and this leads to a build-up of sugar in the blood. Gestational diabetes is similar to Type 2 diabetes, but strikes pregnant women. Only some women develop gestational diabetes, and it usually goes away once you have the baby, but you’re more prone to developing Type 2 diabetes later in life. If you have fasting blood sugar levels in the range of 100-125 mg/dL, Dr. Kimzey may diagnose you with prediabetes. Normal blood sugar levels are usually 70-99 mg/dL and diabetes is diagnosed at 126 mg/dL or higher. As you get older, your risk of prediabetes and Type 2 diabetes increases too. If you’re eating more, but still losing weight, it could be a sign of Type 1 diabetes. Tingling or numbness in the hands or feet is an indication of Type 2 diabetes. Type 1 diabetes is usually managed with replacement insulin, diet, and exercise. Regular self-monitoring and clinical monitoring of your blood sugar levels keep your health on track. With Type 2 diabetes, lifestyle changes such as losing weight, a healthy diet, and more physical activity can help you manage the disease. 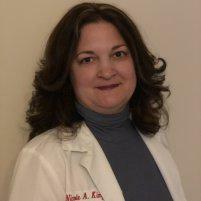 Dr. Kimzey may also recommend medication and insulin therapy as well as regular monitoring of your blood sugar levels. To learn more about a diabetes diagnosis, call Girard Internal Medicine or book an appointment online.